Why Not Make 2019 The Year That YOU FINALLY STOP SMOKING FOR GOOD!!! There is a very good reason for that and you will learn why when you make an appointment to come to see me for your hypnosis session here in my Reno office or book an appointment by telephone and become a NON SMOKER. This time for good. who want to stop smoking and become non smokers FOR GOOD! I'm very good at what I do. I'm so good at getting people to become non smokers using hypnosis that If there were an Olympics for hypnotists I would get a Gold medal for it. For some reason many people think that due to their occupation it might be harder for them to stop smoking especially if they work in a smoking environment or if they drive a truck or have a lot of stress or boredom. I have helped people in Reno, Sparks, Carson City and basically Northern Nevada and throughout the world stop smoking, and they come from all walks of life. I have a special method of addressing all of the challenges that are unique to a man or woman who works in a smoking environment or has a job that might make stopping smoking a challenge. My techniques that I use while you are in hypnosis are very effective and I customize them to your situation so that you can quit smoking without any cravings, side effects of irritability. I have helped casino workers and bartenders and waiters, truck drivers, mining company drivers, bus drivers, delivery drivers for UPS, Fed Ex, DHL, Uber, Taxis, the Post office etc, airport workers, cops, firefighters, school teachers, construction workers, wear house workers, office workers and even Doctors and Nurses who work for Renown, St Mary's or Northern Nevada Medical Center or other medical facilities in Northern Nevada or elsewhere who are tired of being a smoker and want to quit smoking once and forever. In 60-90 minutes there is a very good chance that you will never, ever smoke or chew tobacco again. and there is a very good reason for it. It's a closely guarded secret that is only shared with those who come and work with me using hypnosis here in Reno / Sparks. Many smokers come and get hypnotized by me after failing with other hypnotists, failing with "the patch" (biggest scam product ever invented) or failing with the nicotine gum or the other stop smoking products. Most of the stop smoking pills, patches and gum have such a high rate of failure I think its a joke that they are even legal to use. Plus most of them come with some pretty weird side effects. When it comes to other hypnotherapists who claim to help smokers with stopping smoking, most are well meaning but are simply incompetent. They are like a little league coach trying to work in the major leagues. I'm the stop smoking hypnotist who GETS YOU the results...I'm not the guy who almost gets you the results. There is a very good reason for that and you will learn why only when you come to see me for your hypnosis session here in my Reno office and become a NON SMOKER. This time for good. Of course with cigarettes you pay with your money, your health and with the quality of your life. Hiring me to hypnotize you to stop smoking is a lot cheaper then cigarettes, chemotherapy, having a lung removed, a lifetime of inhalers, oxygen tanks, or all the money you will spend on cosmetics to cover up your wrinkled skin. Dear Chris: I had smoked for 16+ years and had tried different things to quit smoking including gum, inhaler, patch, and nothing worked. I started out smoking 1 pack a day and was almost up to 2 packs a day. I saw about your stop smoking CD and decided that I really had nothing to lose and decided to order it. That was 4+ years ago and I have not had a cigarette since listening to your CD for the first time. I have not even really had a craving for a cigarette either. Thank you so much for all the money that you have saved me by helping me quit smoking. between the cost of the cigarettes as well as medical bills that I know I would be paying if i would have continued smoking. Here is another letter that I received from a person who stopped smoking by using hypnosis with me here in Reno. "Dear Hypnotist Chris Cady. This is the 5th of my follow up letters to thank you for helping me stop smoking with hypnosis. Back in the 80's I was a very heavy smoker and I went to see a hypnosis show by hypnotist Pat Collins at Harrah's in Reno. She had a stop smoking with hypnosis program and I attended it and was amazed that I immediately quit smoking and never wanted to smoke. Then in 2007 I was stressed out of my mind and bummed a smoke from a co-worker and darn! I was hooked again. I quickly began smoking almost 2 packs a day. No matter how much I smoked though I truly never was ale to reduce my stress. Then in 2009 I saw your hypnosis show in Reno and hoped that you had a stop smoking program. Thank goodness that you did. Right after your hypnosis show I scheduled an appointment and just like magic I was hypnotized and you hypnotized me for stress reduction and for stopping smoking and for being confident in myself. WOW! I left your office feeling like superman and I never wanted another cigarette. I remember leaving the carton in your office after stomping and smashing them into dust. It is now 2013 and I still don't smoke. I have told so many people that if they are ever here in the Reno area and want to use hypnosis to stop smoking to come see hypnotist Chris Cady. As you told me YOU get results! I am proof! 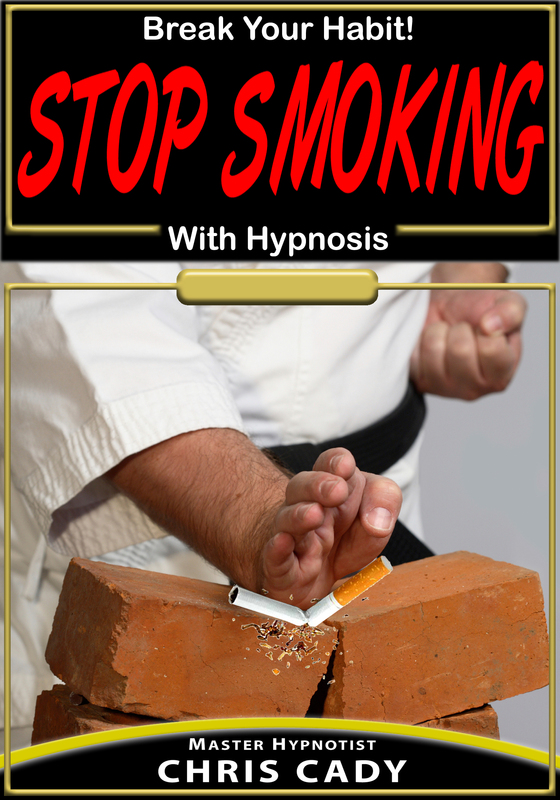 "I came to you to stop smoking with hypnosis with after failing many times. After speaking with you on the phone I felt very assured that hypnosis would work for me this time. I came to your office in Reno and you made me so comfortable and the hypnosis felt warm and beautiful. My most vivid memory was In my mind I was in Tahoe an a happy beach and I was mentally tapping into a success that I once had and using it to reprogram myself with it so that it would help mix with the hypnosis and keep me from smoking. After the hypnosis session I threw my last pack in the trash and have not even given cigarettes another thought. I suggest stop smoking hypnotist Chris Cady to anyone who wants help. " Ashley ___ ( last name Removed) Sparks Nevada. 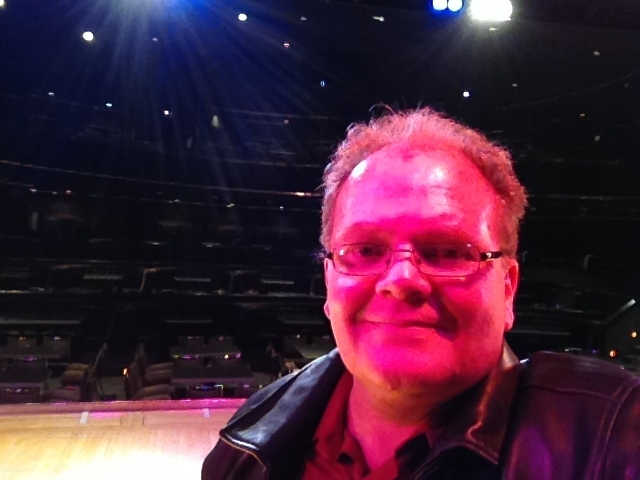 "Hypnotist Chris Cady helped stop smoking using hypnosis in one session. Here is my review. I am a Black Jack Dealer at Harrah's in Reno, NV and I was hypnotized by Pat Collins when she performed here at Harrah's in Reno back in 1986. Back then everyone smoked but I was trying to get pregnant and needed to quit. Pat helped me and I stopped smoking until 1998 when I had just one cigarette and I was hooked on smoking cigarettes all over again..... then in October 2009 when hypnotist Chris Cady had has show in Reno I attended with my family and after the show I asked him for a stop smoking hypnosis session. I booked a hypnosis appointment. He hypnotized me in his showroom in Reno at 3pm on a Saturday right before my shift. This time one of my concerns was that I did not want to be impatient with my players as they are smoking right in my face all night at the table. Chris build in hypnosis suggestions into our session that I would not be bothered by all the smoking players, customers or any of my co-workers or friends who smoke. After the hypnosis session I felt great and never even thought about smoking. I left the hypnosis appointment and walked right to Harrah's. The moment the doors opened into the casino I was hit by a massive wave of cigarette smoke. I couldn't help but notice how powerful it was and it scared me because I thought I might have a hard time that night but it did not at all. What happened was that I felt calm, relaxed and excited and confident that this time TONIGHT I COULD DO IT! I would not want a cigarette and it smoking would be for other people but not for me. all the smoke in the casino did not bother me one bit and having people smoke cigarettes in my face didn't matter a bit. It also did not tempt me into smoking either. This time quitting smoking using hypnosis was easy and the hypnosis really worked. I have recommended hypnotist Chris Cady to help anyone in Reno who wants to stop smoking especially if you work in a casino. "Hypnotized For Stopping Smoking At the Sparks Marina"
"Reno man Hypnotized To Stop Smoking For a Surgery and Pain GOES AWAY DO TO HYPNOSIS"
I SMOKED A PACK A DAY and I really enjoyed smoking. My Doctor told me I had to stop smoking before a surgery. The surgery was a back surgery to stop chronic pain. I tried to quit smoking on my own and I tried and tried and failed and failed. ( Probably because I enjoy smoking) Then I hired Chris Cady hypnotist to help me stop smoking because it was stop smoking or no surgery. The hypnosis session went smoothly and felt relaxing. 2 hours later I was a non smoker. And guess what? All my PAIN WENT AWAY! And the Doctor did not need to do surgery. Another Federal Express Driver Hypnotized To Quit Smoking! "I drive for Fed-EX. My job is STRESSFUL and I was worried about how I would manage the stress. Chris, now only showed me how to manage the stress that comes from driving in Reno traffic all day long but he MADE ALL OF THE STRESS ROLL OFF MY SHOULDERS! It has now been 2 years since I stopped smoking and I maintain a healthy life and weight. My life is so much better now as a non smoker." Chris Cady Stop Smoking Hypnotist Does It Again!!! Here's a Testimonial From A Former Long Time Smoker from Reno who came to see me for my one appoint stop smoking session here in Reno recently. "I am a single woman and mother with a high stress job that has kept me smoking... In the past I have tried Chantix & the stop smoking patch. The patch did not work and Chantix gave me sick nightmares. I decided that it was time to quit and booked a stop smoking hypnosis session feeling confident that your hypnosis would work for me. It sure did! I went from a pack a day for 18 years to zero cigarettes immediately! I have in person appointments here in Reno as well as telephone and skype appointments available for clients who prefer to be at home or who live out of the area. hypnosis CD or Mp3 will get you the results that you want just as effectively as an in person or telephone hypnosis session with me will. So if you are not a Reno Sparks local or even if you are and you don't want to wait or if you would rather work with a CD or MP3 on your own instead of an in person or telephone session.